You're recently retired and finally are doing the travel you've always dreamed about. You find yourself in Paris admiring the Arc de Triomphe up close thinking about that time when you were in New York commenting how the Washington Square Arch was a miniature version of this famous Parisian monument. Suddenly, the urge to urinate kicks in and intensifies as every minute passes. “Did I drink too much cafe au lait this morning?” you ask yourself. “Is the cold weather doing a trick on my bladder?” you question as you attempt to ignore the fact you might be over-caffeinated. “Or am I just getting old?” you ask resigning to the fact that you are now a retired traveler. You want to use the toilet but do not know which direction to turn to for the closest one that is available to the public as the urge keeps building. “Good thing I speed walk regularly during the week,” you murmur to yourself as your breath quickens. This is a situation, although minor, but pressing - pun intended, that a traveler does not want to deal with on a trip (or even just when out and about). It has happened to me during my travels, so I definitely appreciate visiting places that come with washrooms that are accessible to the public and easy to find. I have listed five cities below that you should consider visiting if this is a problem for you. Rest assured I never had to engage in power walking to relieve myself when I was visiting here. Japan is such a civilized country. It is almost like Eutopia where humanity has risen to the next level. One great characteristic of the Japanese, despite their general lack of English proficiency which can make it difficult at times for non-Japanese speaking travelers, is their willingness to always consider for other fellow human beings. This includes offering clean public restrooms on every two three city blocks. You will usually find them in parks and little alleys with a male and female sign indicating their whereabouts. You can also find clean bathrooms in shopping malls and train stations. As with any Japanese bathrooms, the washlet feature will come standard at every location and some even come with a "sound" button to drown out the noise from your bowel movements. Such is the considerate nature of the Japanese. There is so much to do, see and eat in Japan, so you can do them at ease without worrying when you need to use the lavatory. 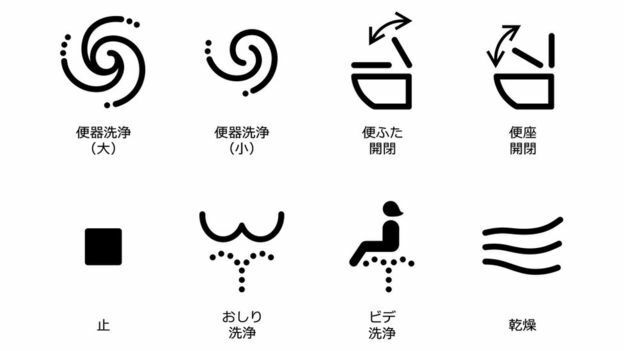 The Japanese are so considerate that they even have a web page dedicated to public toilet information for visitors. Taiwan remains a controversial Chinese republic in its relationship with mainland China, and some Taiwanese even argue that the island state has more Japanese influence (it was once ruled by Japan) than its Chinese neighbor to the west. 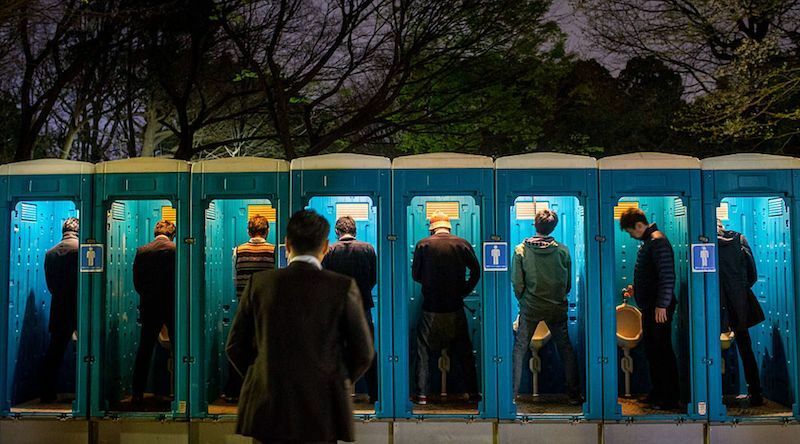 The influence is evident at least when it comes to the availability of clean public toilets, especially in bigger cities like Taipei which is also the capital of Taiwan. 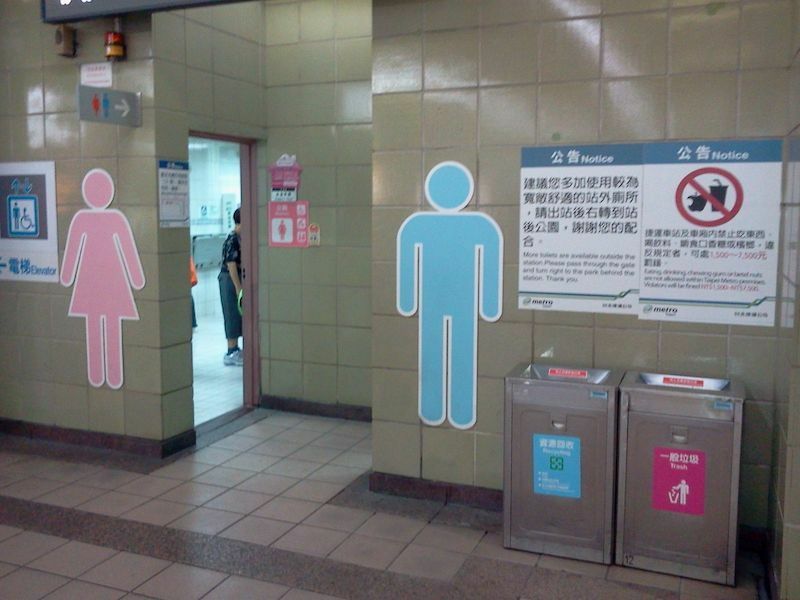 Much like Japan, visitors to Taipei will find easy access to toilets especially in shopping malls, parks and subway/metro stations. The toilets in the subway stations are clean and most are actually located before the ticketed area so you can use them without having to purchase a train ticket. Taipei has an amazing night market/street food culture so you can eat and drink to your heart's content and not worry about where to tinkle if the urge presents itself. The only complain I have about Taipei is that there are not enough trash cans so bring your own bag for litter when you head out to a night market. Trust me, they will pile up after at the end of your visit as you buy one or two items from every food vendor. Travelers from the U.S. who travel to New Zealand rarely go to just one or two cities given the long travel distance. Instead, they embark on a ten-day minimum road trip and hit up both North and South islands, checking out geysers, rainforests, glaciers, rugged beaches and even "Lord of the Rings" film locations along the way. Fortunately, they will find clean public toilets not only in big cities like Auckland and Christchurch but also in smaller towns. Clean toilets, paid or unpaid, are available for visitors in state parks, gas stations, fast food outlets and even campsites. Speaking of campsites, visit campermate and download its app that will provide users with information on nearby toilets, showers and camp sites. It is a tool that will come in handy on your journey throughout middle earth. Amsterdam is a great place to visit not because of its marijuana legalization (you can go to Canada for that now), but for the multitude of urinals available throughout the city. Male travelers will no doubt find Amsterdam more appealing (and perhaps more relieving) than female travelers. 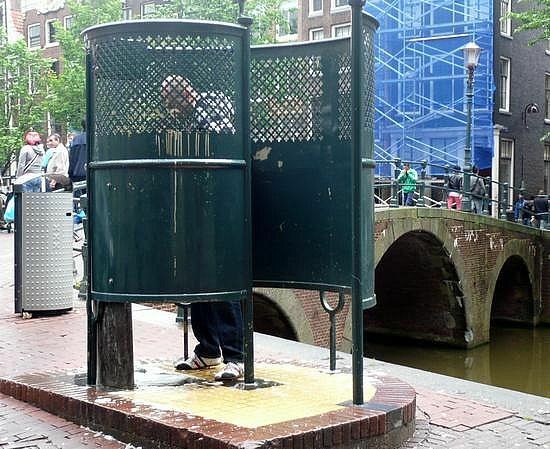 These urinals are all over the streets in this popular Dutch city, and are used by locals and tourists alike whenever nature calls. The rationale of the city officials in installing the urinals is that they would much prefer their male local residents or visitors to urinate here than on the streets or worse, into the canals. For female travelers, use the bathrooms in the museums/attractions or be ready to part with a few Euro coins when using a bathroom in fast food chains or public transportation hubs like train station. Coin-operated toilet booth is also an option in Amsterdam much like the larger cities in Western Europe like Paris and London. Insert a coin, the door opens, and you have 15 minutes of private toilet time accompanied by classical music. The entire chamber disinfects itself after each use. Washington D.C. is not just a place to visit government buildings like the Capitol Building and famous monuments like the Washington Monument. It is also a place to take a leak without the need to search for a public toilet when such need arises. All of the museums and most of the memorials on the National Mall have public restrooms. 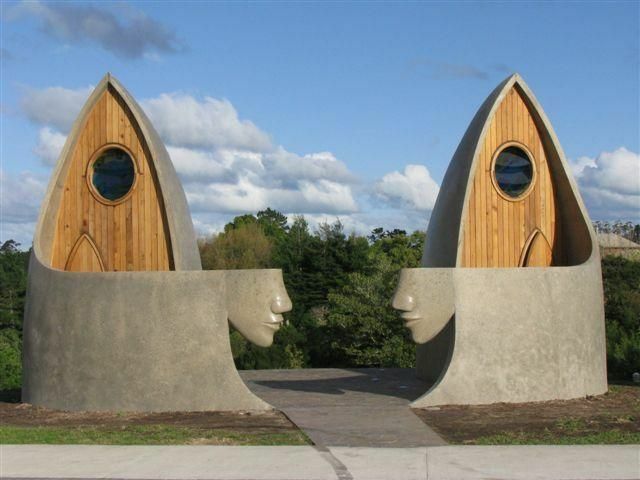 The National Park Service also maintains a few public facilities. The hotels in the city can also provide relief if you do not happen to be visiting the key sights at the National Mall. Just ask nicely and nine out of ten times the hotel staff will point you to the closest toilet in the lobby. There are many other cities you can visit around the world with ease of mind as long as you are willing to part with a few coins in local currency. For example, in the Baltic states like Latvia there are toilets everywhere but you will have to pay to use them, even toilets in shopping malls like Riga require a few coins to access. The benefit of paid toilets is that they are clean (most of the time) so the minimal payment is worth it. 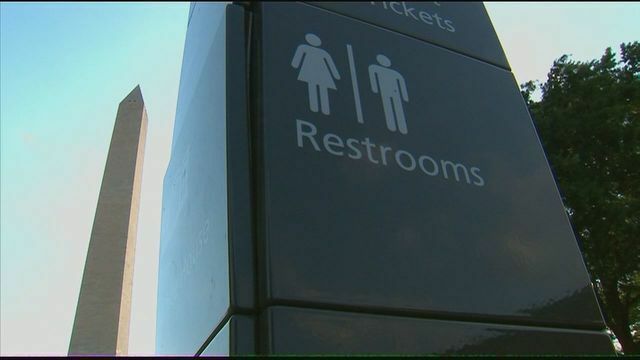 Travelers can also download location enabled apps like "Flush" that will help users locate public bathrooms or places that potentially offer bathrooms for public access like hotels and restaurants. I could go on and on about where to visit and what to eat, but I believe readers will appreciate my providing a guide on where to relief oneself just as much as a guide on where to eat or drink. Hopefully I have given you some ideas to locate a biffy in a jiffy to tickle without the shackles. A food & travel enthusiast who often provides food and travel advice. 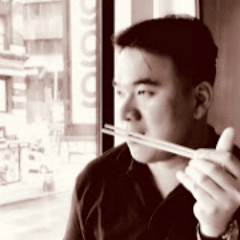 He does have a masters in food studies from NYU and two decades of restaurant trends analysis - a legit food and travel savant.